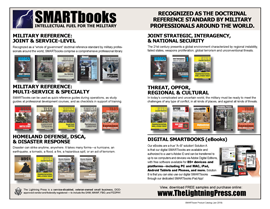 Recognized as a “whole of government” doctrinal reference standard by military, national security and government professionals around the world, SMARTbooks comprise a comprehensive professional library designed for all levels of Service. 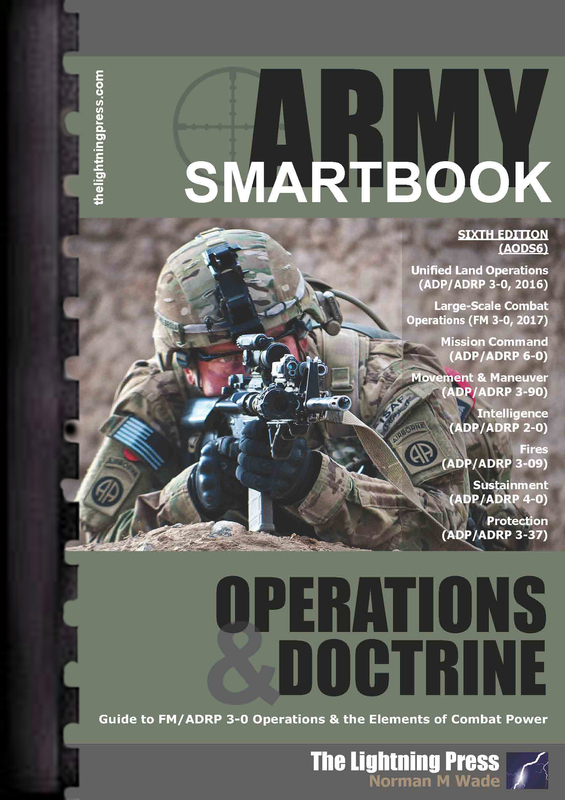 SMARTbooks can be used as quick reference guides during operations, as lesson plans in support of training exercises, and as study guides at military education and professional development courses. The dawn of the 21st century presents a global environment characterized by regional instability, failed states, increased weapons proliferation, global terrorism and unconventional threats. Achieving national strategic objectives requires effective unified action resulting in unity of effort -- to include interagency, intergovernmental, nongovernmental and multinational partners. This is accomplished by collaboration, synchronization, and coordination in the use of the diplomatic, informational, military, and economic instruments of national power. In today’s complicated and uncertain world, it is impossible to predict the exact nature of future conflict that might involve U.S. forces. So the military must be ready to meet the challenges of any type of conflict, in all kinds of places, and against all kinds of threats. 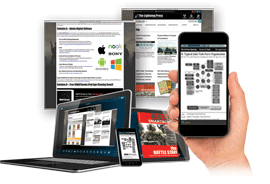 Additionally, this category includes resources related to countries, cultures and nations in the world, with emphasis on training, advising and assisting.